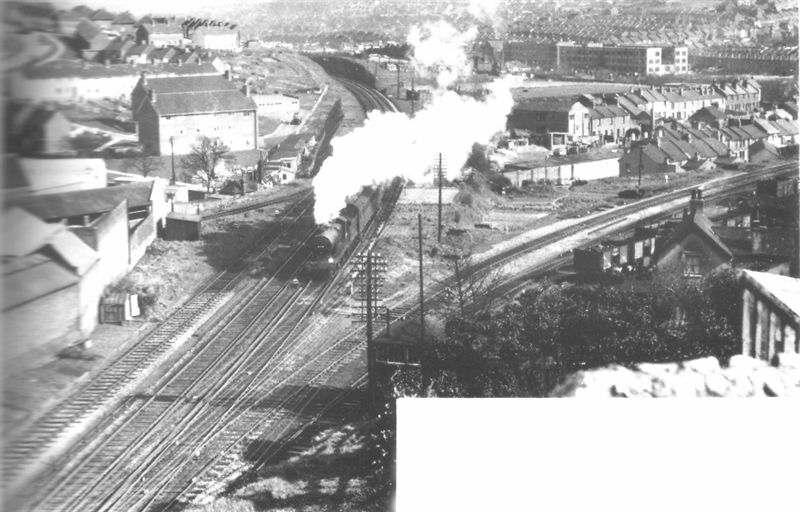 Kemptown Junction, photographed from just above the Ditchling Road tunnel. The junction proper is at the bottom left of the photo and the little signal box is just above the top left corner of this text. The line to Kemptown curves off to the right. Hollingdean Road runs left to right diagonally across the centre of the photo. Davey Drive is just visible top left, if a little blurred. BELOW: This map shows the area in the photo (above) in the modern day. The Lewes Line branches off across the bottom left hand corner of the map whilst the Kemp Town Branch route is shown in red. 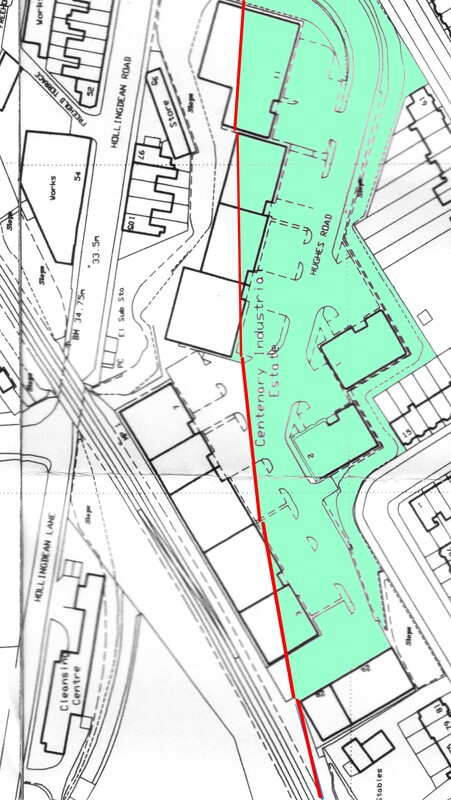 The blue area shows the extent of the Coal Yard and Sidings compared to the present day. BELOW: Map overview of Lewes Road Station. Richmond & D’Aubigny Road junction and the station house can be seen at the bottom right of the map. Ditchling road runs vertically far left and Hollingdean Road runs across the middle of the map.